Players digging through the animation files of Dark Souls have found some very funny falling animations for creatures that rarely fall in the game. A user named DarkSoulsJunk has posted an album of gifs made from some little-seen fall animations from Dark Souls enemies. They are, in a word, hilarious. There’s something fulfilling about seeing basilisks and titanite demons reduced to silly postures and flailing after all of the times they managed to ruin my day while I was playing the game. The animations are also a great demonstration of a developer covering their edge cases. Some of these enemies are in areas where it would take some very serious effort to get them in a position where their feet are not on the ground, but if it happened there’s an animation for it. 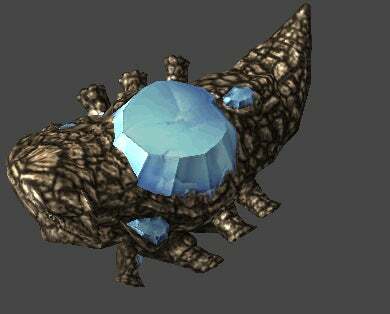 Others, like The Everlasting Dragon, can’t fall at all and this is clearly a vestigial animation from some other design for that enemy. While it remains unclear exactly why these animations would exist, at the end of the day I just enjoy looking at them. It’s astonishing to me that I can continue to get excited about the weirdest things in a game from 2011, but, well, here we are. 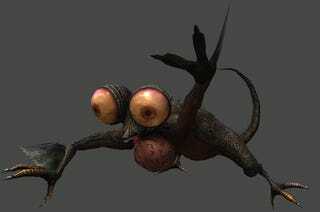 Hopefully Dark Souls Remastered gives us a couple new enemies with falling animations.